"Too simple." That's the main complaint that I have heard about Microsoft's new logo. However, I personally think this logo is a step up from their previous version. They have gotten rid of the big bold italic letters and used a simple, clean typeface that is similar to—but not the same as—the one used in their Windows brand (a typeface called Segoe UI). Yes, it is simple. Yes, it is "boring". But you know exactly who this is when you see it. And boring logos are not necessarily bad if they are used properly. There are plenty of logos that are very simple that are used in unique and classy ways, and we will not know if Microsoft plans to achieve this until they attempt to. 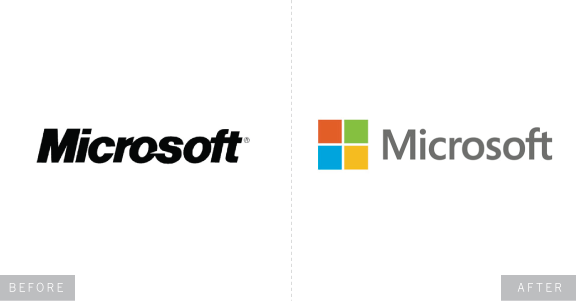 But overall, I would say that this logo is a step up visually and does a good job of capturing the same look that Microsoft has been implementing in their materials for some time.